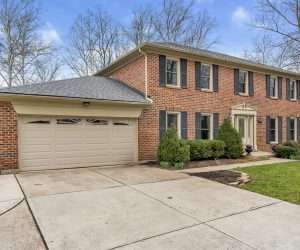 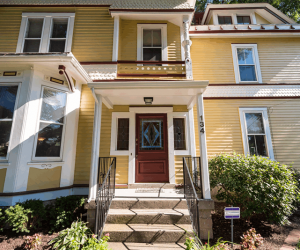 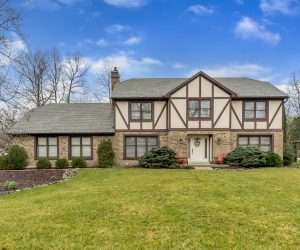 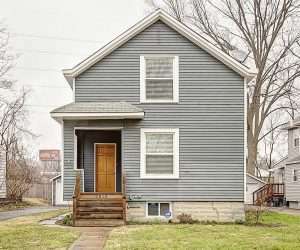 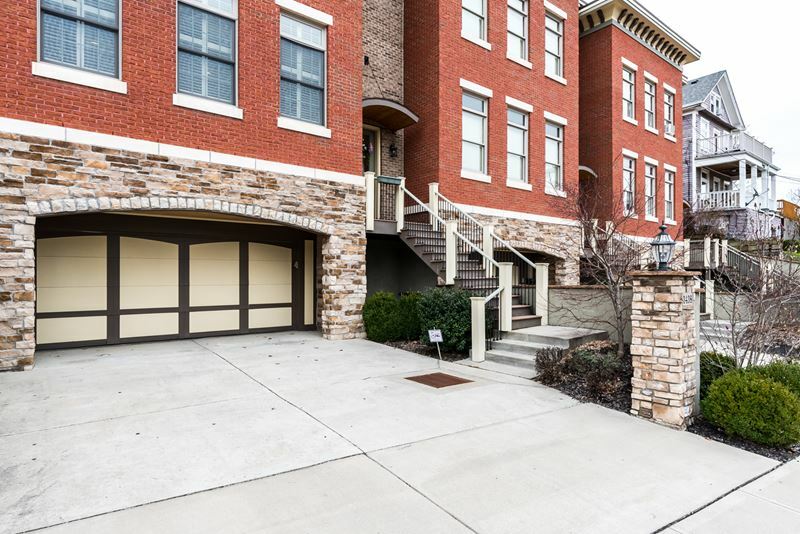 3438 Golden Avenue is a stunning, transitional home located in Cincinnati’s desirable Columbia Tusculum neighborhood. 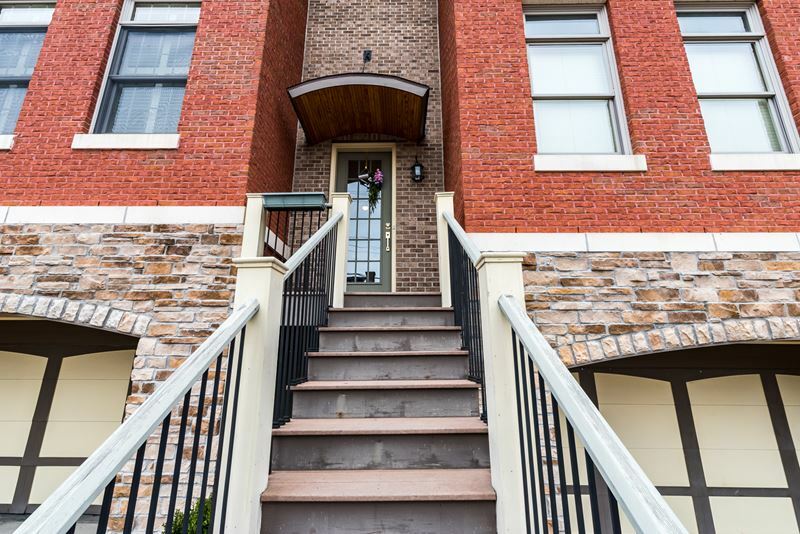 An impressive brick & stone façade welcomes you to this lovingly maintained property. 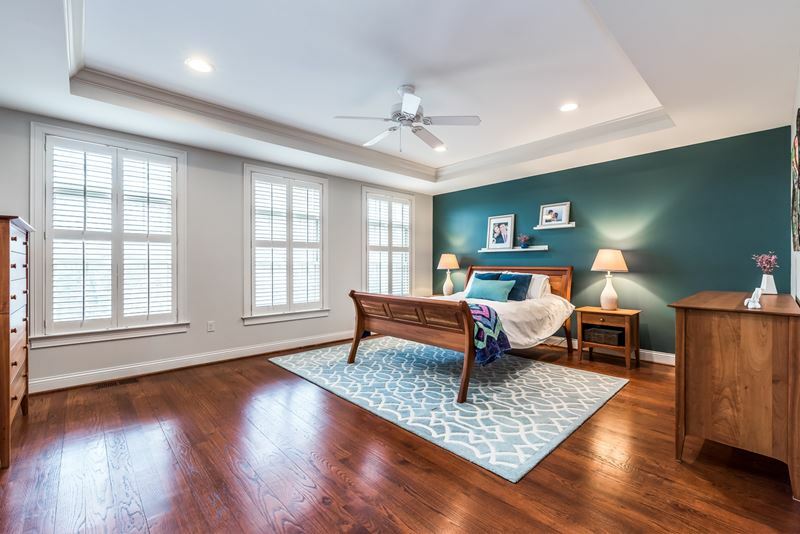 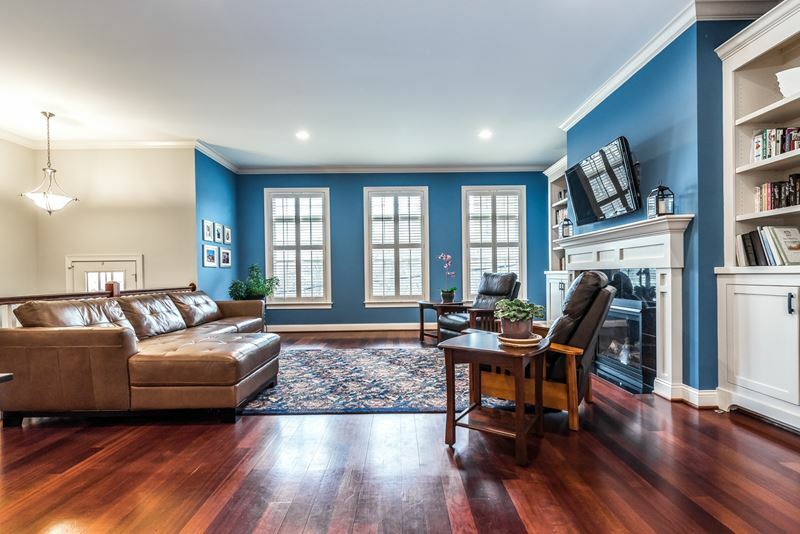 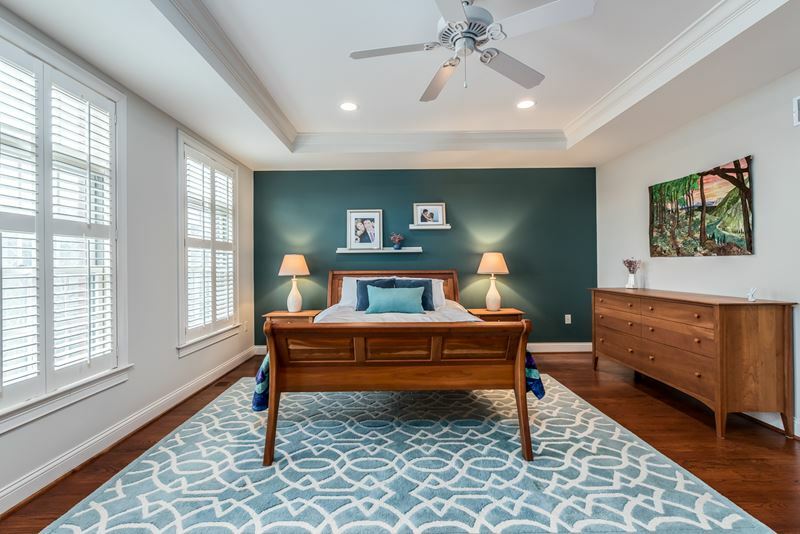 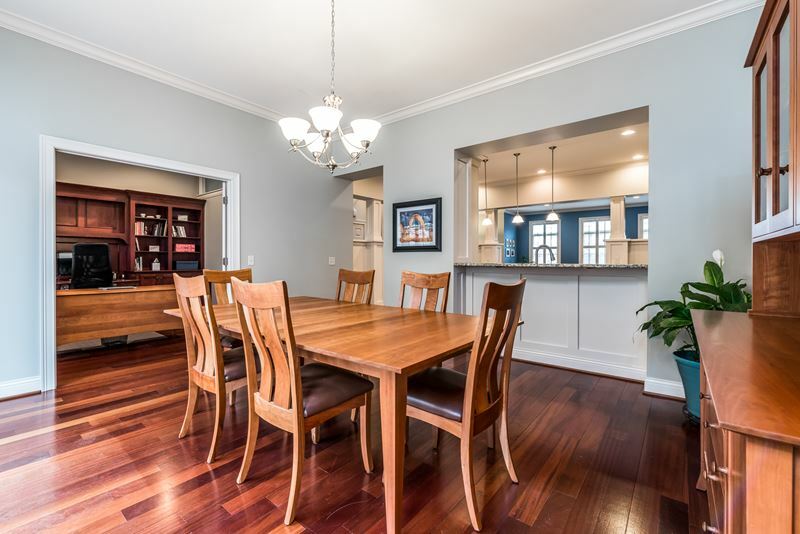 This row home has so many contemporary aspects like the rich, Brazilian cherry hardwood floors and 10′ ceilings that define the elegant interior of this home. 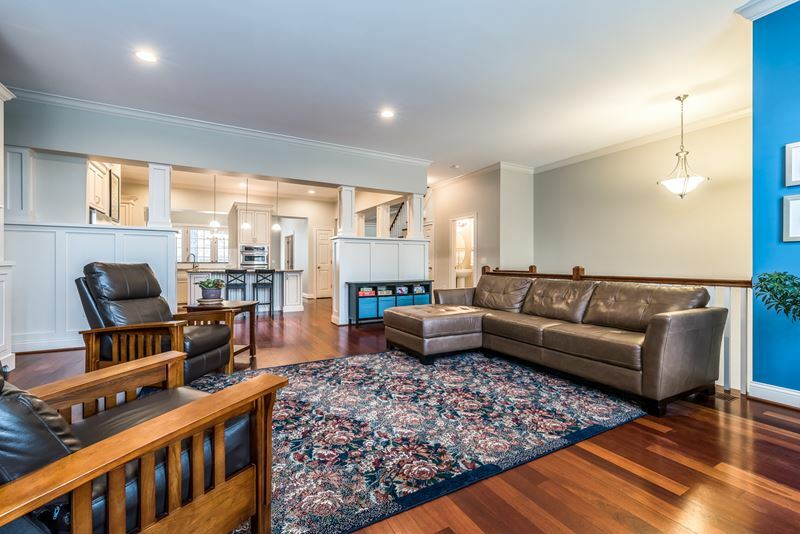 Additionally, the open concept floor plan allows for an abundance of natural light and an easy flow from the great room to the kitchen and dining area. 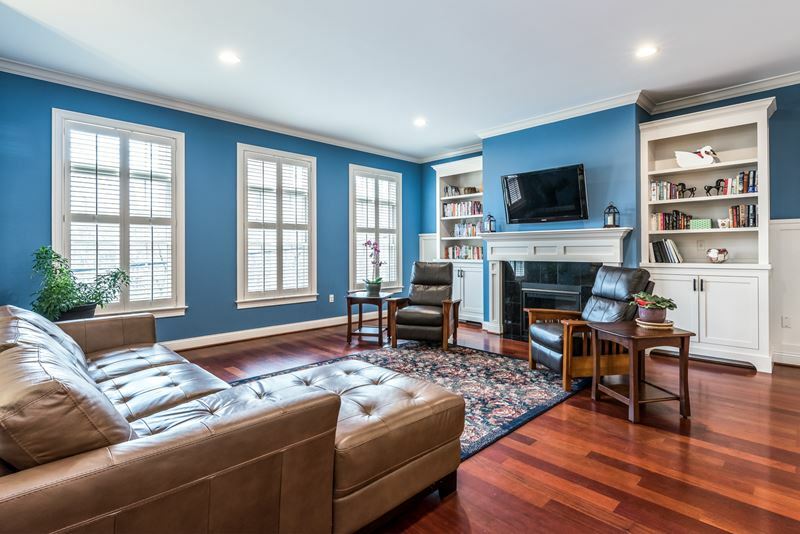 Built for entertaining, the great room features a sleek fireplace and beautiful built-in bookcases. 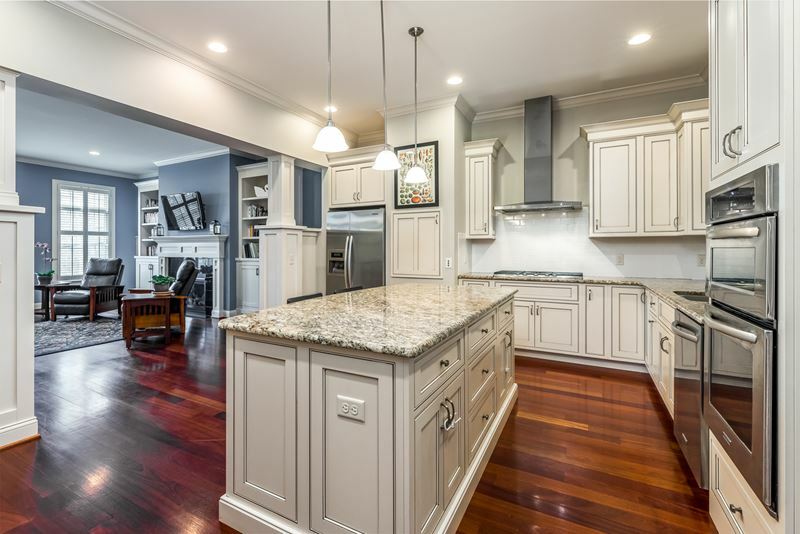 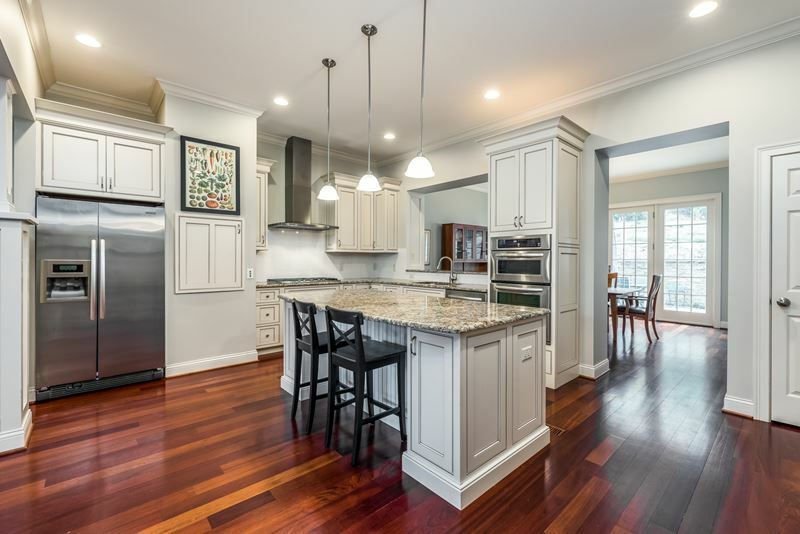 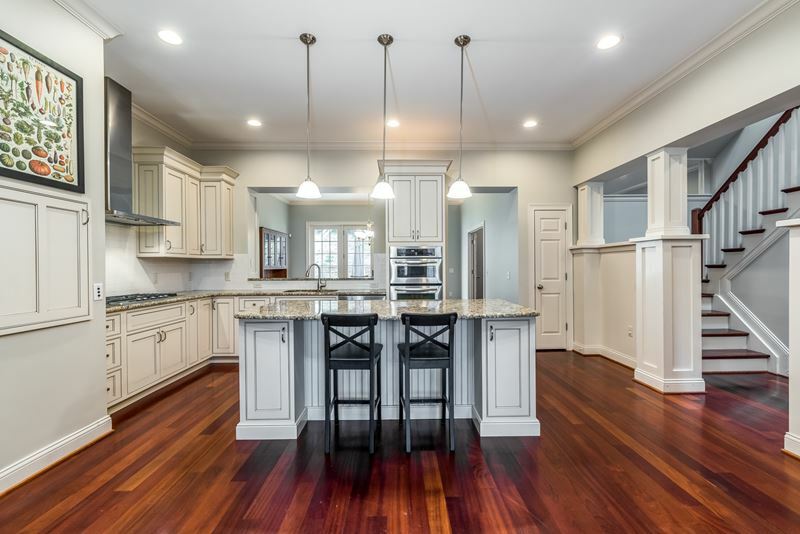 Family, friends, and guests will also be wowed by the gourmet, chef’s kitchen complete with granite counters, a 5 burner gas range, large island with seating, double oven, and dumbwaiter. 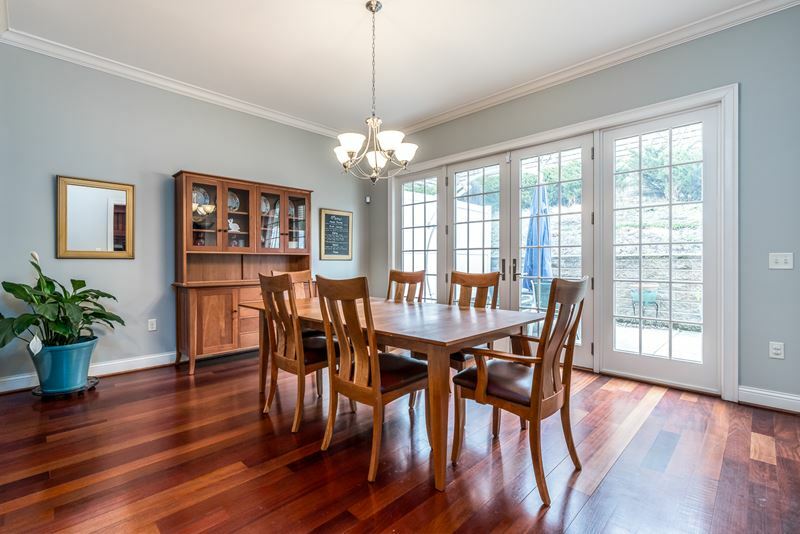 Furthermore, there is plenty of space in the formal dining room to host for holidays and events. 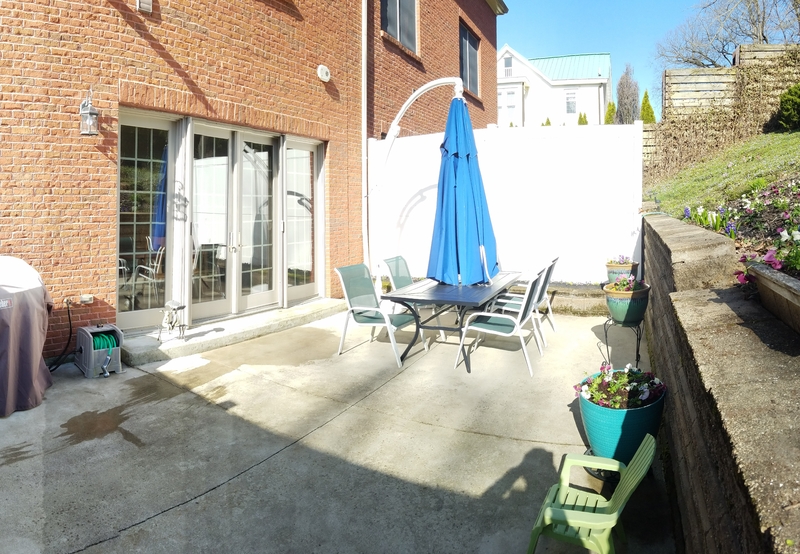 In the warmer months, walkout from the dining room and enjoy the quaint patio with privacy fencing – the perfect low maintenance, outdoor space. 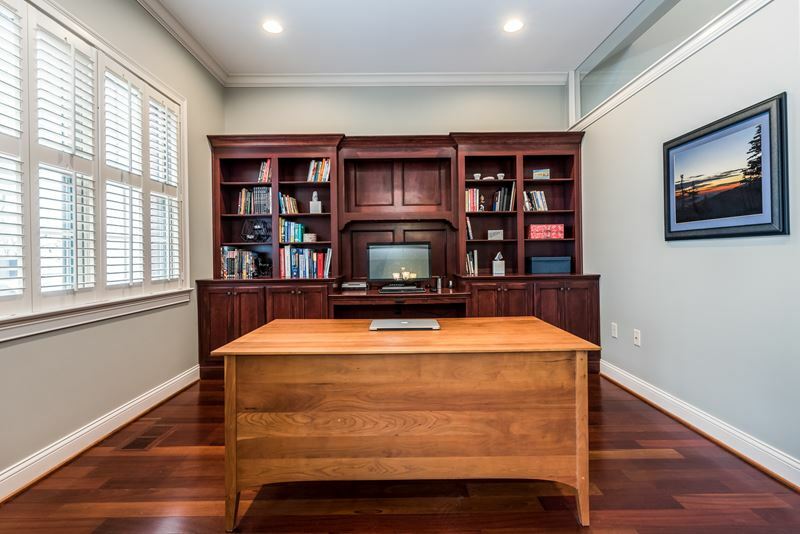 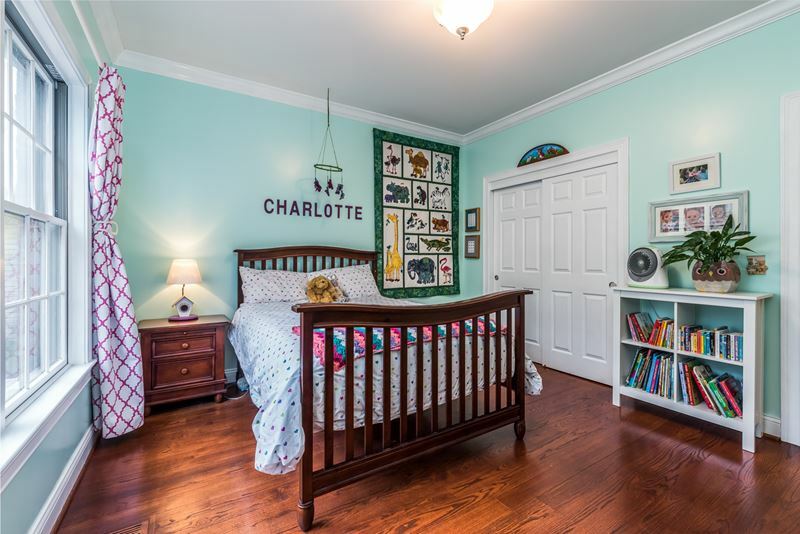 Rounding out the main level is a striking study with built-in bookcases as well as a half bath. 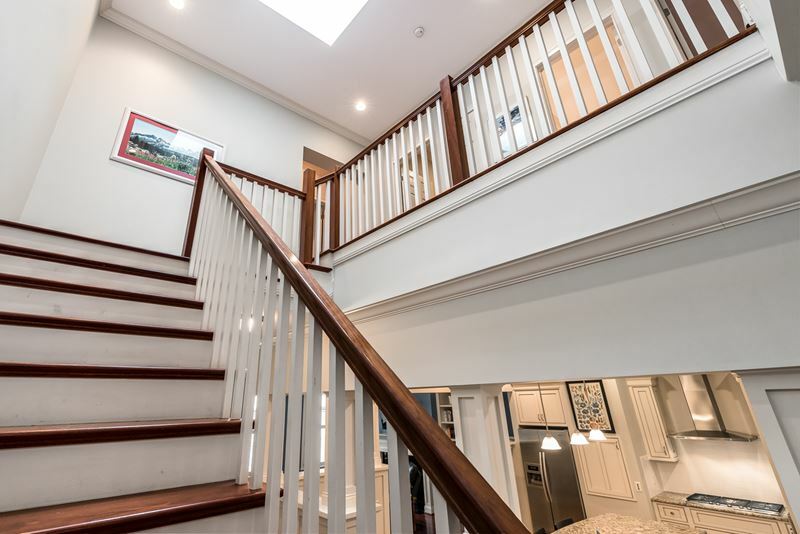 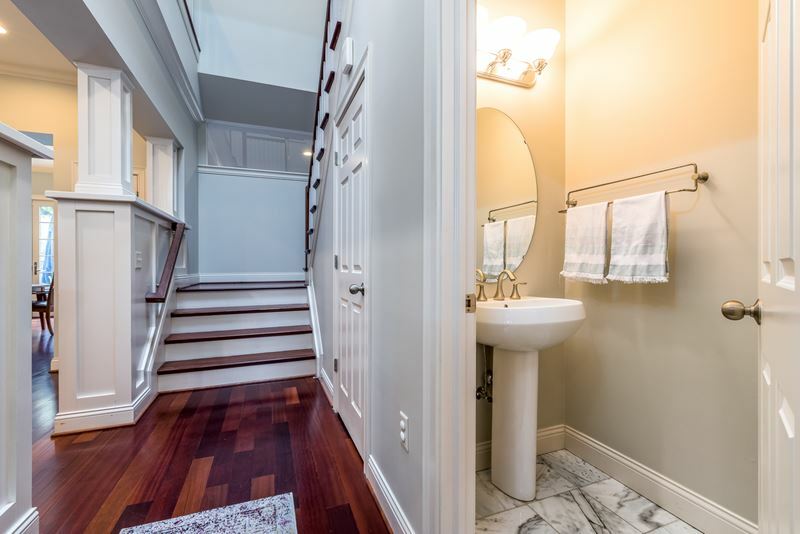 A thoughtfully placed skylight above the staircase leads to the upper level which contains the same gorgeous hardwood flooring. 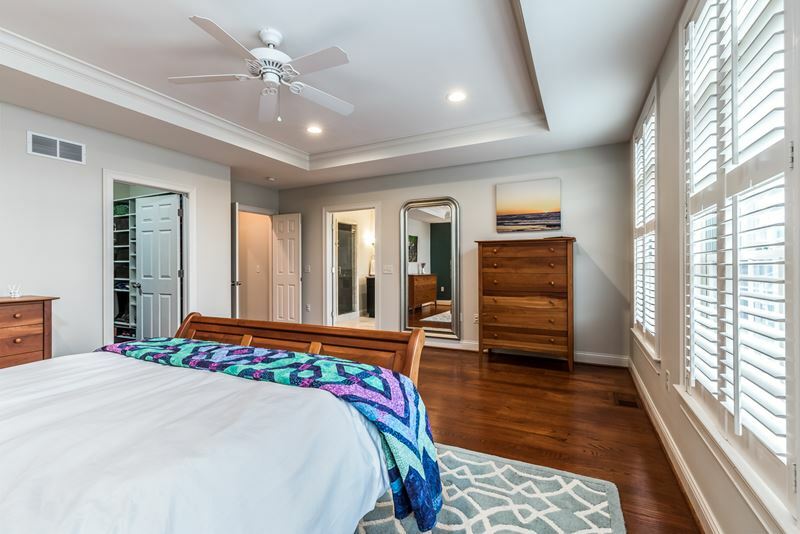 The luxe master suite with trey ceiling and walk-in closet awaits you. 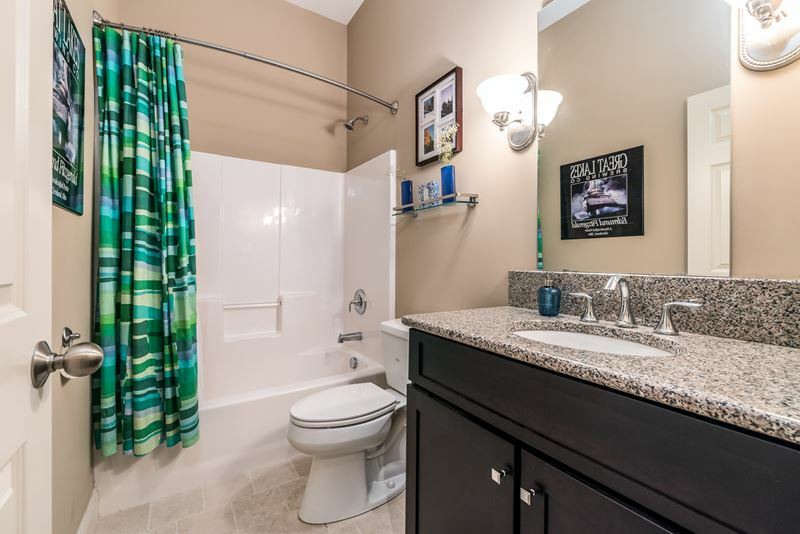 Plus the ensuite bath is the perfect place to unwind. 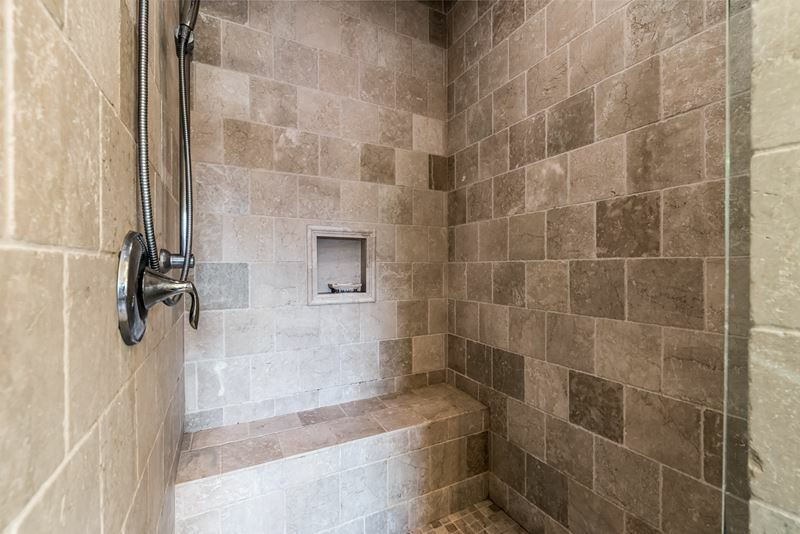 Soak in the tub or relax in the spa-inspired shower with sitting bench. 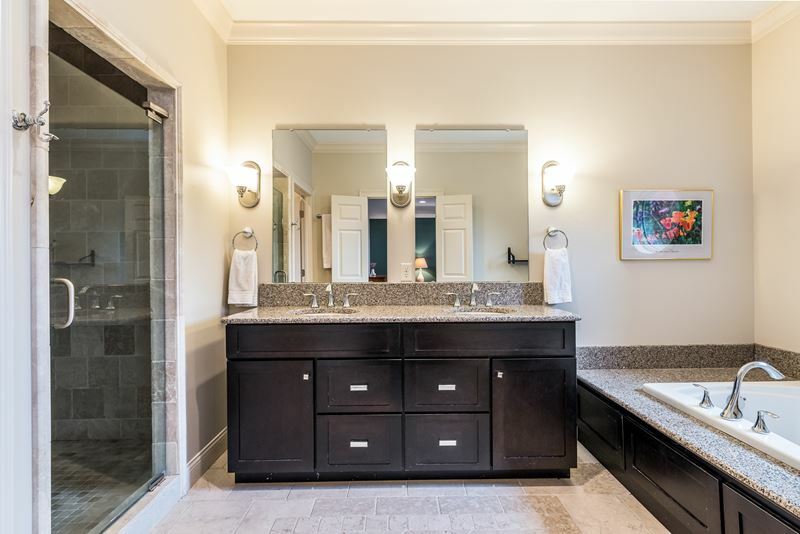 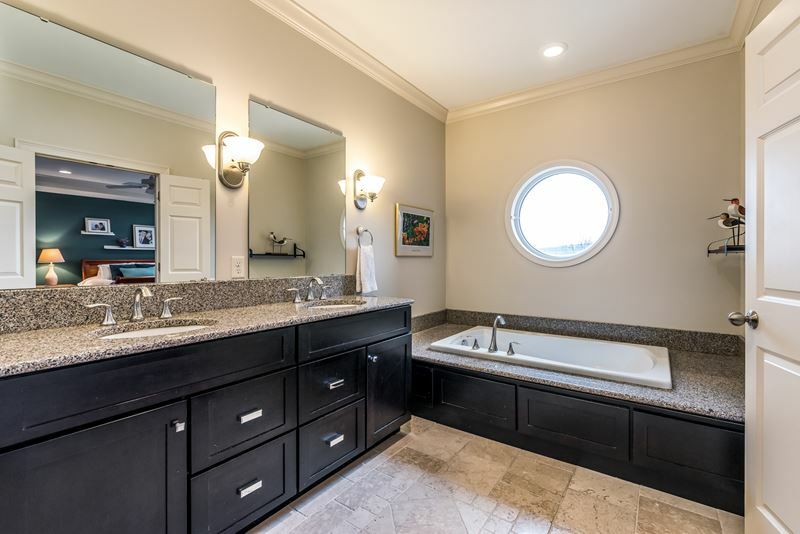 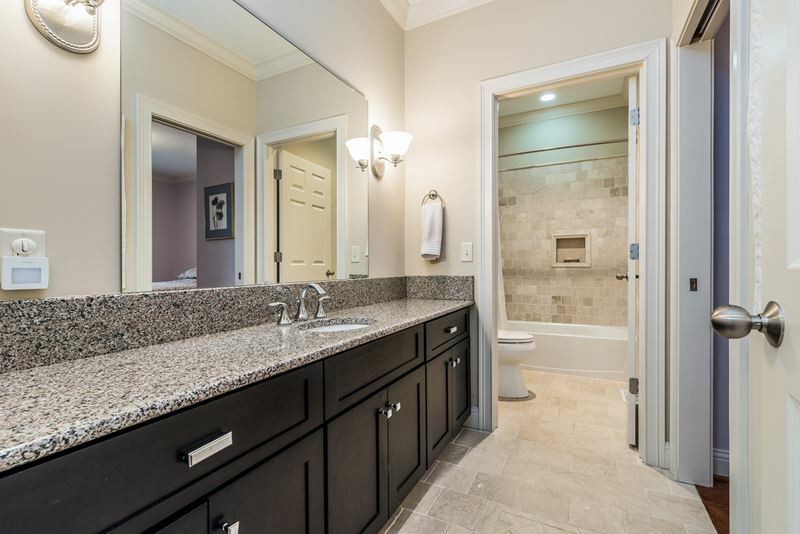 The master bath also features a double vanity with granite counters. 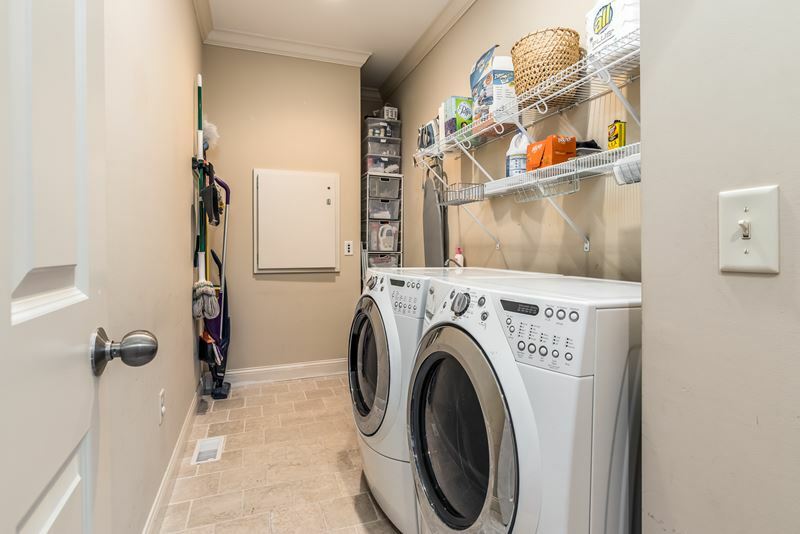 Down the hall are two additional spacious bedrooms, one with an ensuite bathroom and the conveniently located laundry room. 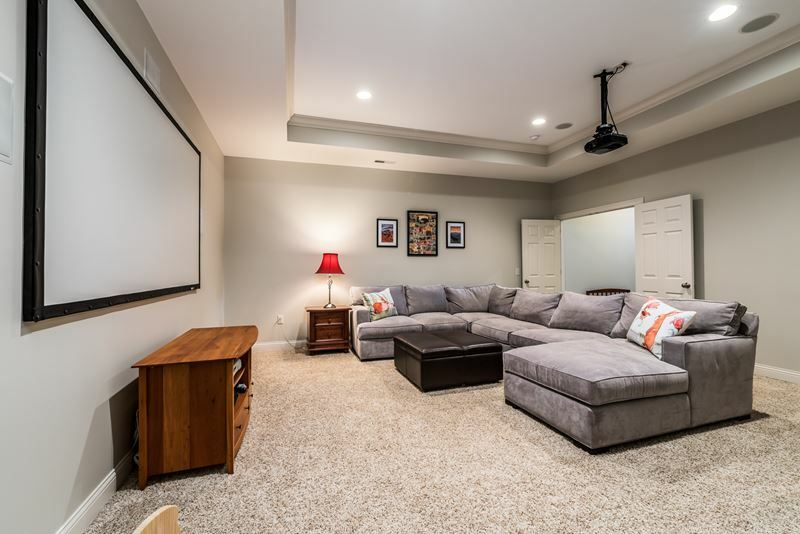 There is even more living space in the finished lower level with a media room and the third full bath. 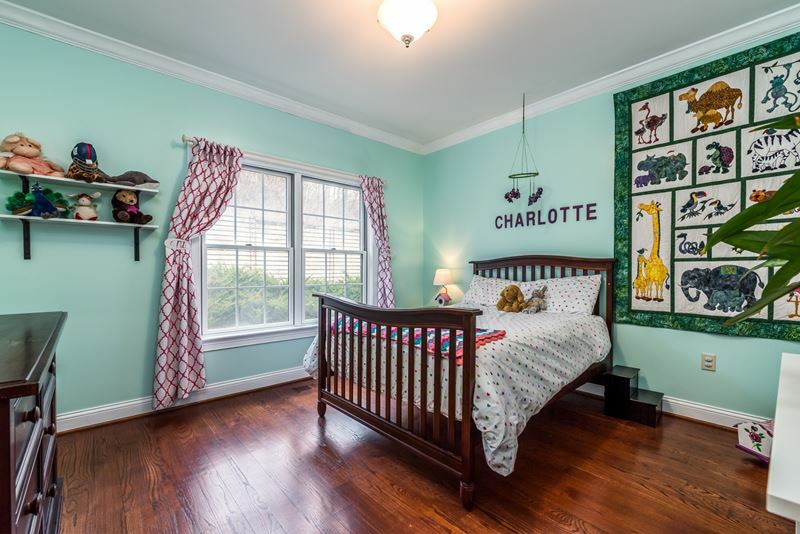 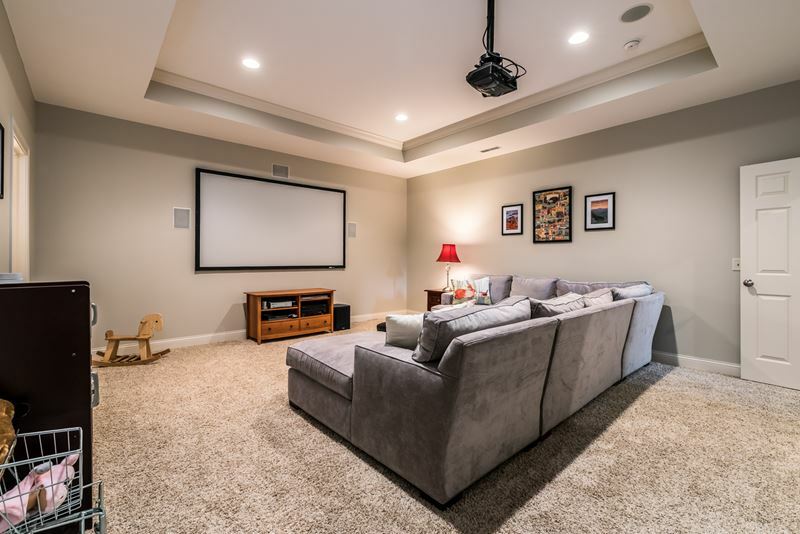 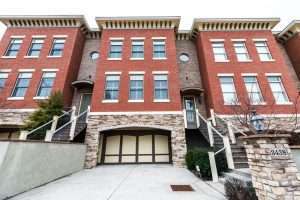 The lower level also opens to the over-sized, two car garage which also includes 2 large storage rooms – rare amenities in the a neighborhood just outside the city.